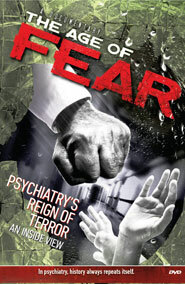 CCHR STL Do psychiatric Drugs Help? Richard Hughes and Robert Brewin, authors of The Tranquilizing of America, warned that although psychotropic drugs may appear “to ‘take the edge off’ anxiety, pain, and stress, they also take the edge off life itself … these pills not only numb the pain but numb the whole mind.” In fact close study reveals that none of them can cure, all have side effects, some horrific, and due to their addictive and psychotropic properties, many people believe that they cannot deal with life without them. Peter Schrag and Diane Divoky, authors of The Myth of the Hyperactive Child, say that dozens of drug experiments have been founded on the “dubious premise: that if the drug worked, or seemed to work, the subject must be suffering from the ailment for which drug was administered.” Because the person’s emotional state, behavior or outlook changes, there is a belief that the drugs are helping. However, a person could drink alcohol or take cocaine and may think they “feel better.” It doesn’t make it right and, in the case of psychiatric drugs, it is potentially very dangerous because the drugs mask physical conditions, which left untreated, can be catastrophic. Because of the American Psychiatric Association’s Diagnostic and Statistical Manual of Mental Disorders (DSM), psychiatrists have deceived millions into thinking that the best answer to life’s many routine problems and challenges lies with the “latest and greatest” psychiatric drug. The repercussions are telling. Hundreds of children have committed suicide while taking the latest antidepressants. Millions more are prescribed “kiddy cocaine” [stimulants] for “disorders” that don’t exist and put at risk of addiction and worse. Children diagnosed with “ADHD” and prescribed stimulants can be later ineligible to serve in the U.S. Armed Forces. 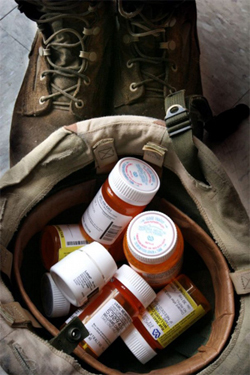 In 1998, the military discharged more than 3,100 recruits with psychiatric histories, pointing to a rise in “medication” and treatment of ADHD and other “behavioral disorders” as a reason for discharge.